Head coach Lincoln Riley, Rodney Anderson, Amani Bledsoe, Kenneth Murray and Ben Powers represent the Sooners at Big 12 Media Day Monday at The Star in Frisco. 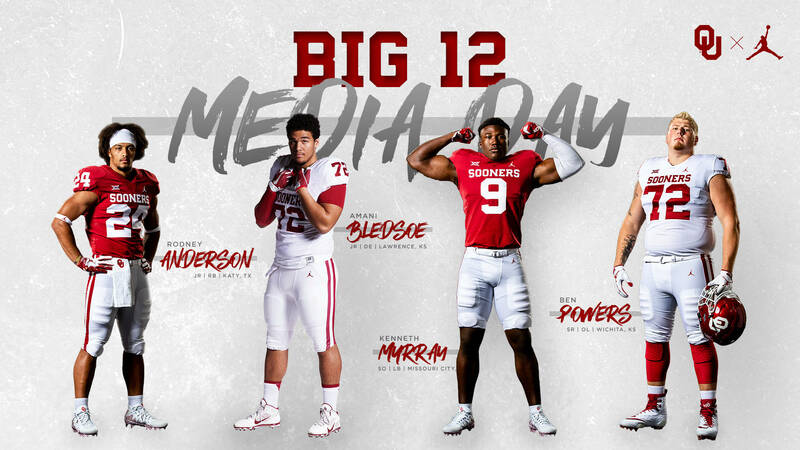 Follow OU’s official social media channels for behind-the-scenes coverage throughout the day, and tune in to FOX Sports Southwest and Big12Sports.com for live press conferences and interviews. 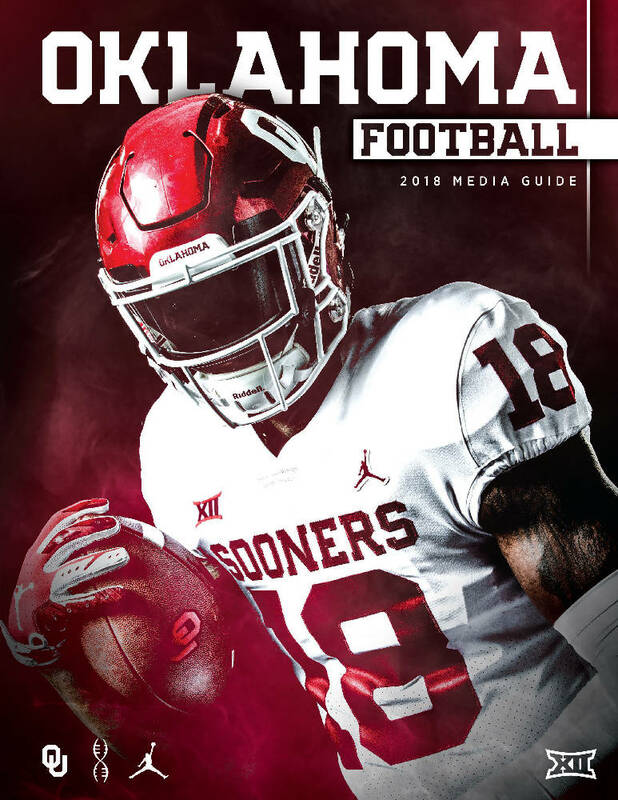 The official source of information for the 2018 season, the Oklahoma football media guide includes complete rosters, player and coaching staff bios, stats and much more. This year’s edition was produced in full color for the first time ever. Oklahoma’s 2017 media guide was judged best in the nation by the College Sports Information Directors of America (CoSIDA).